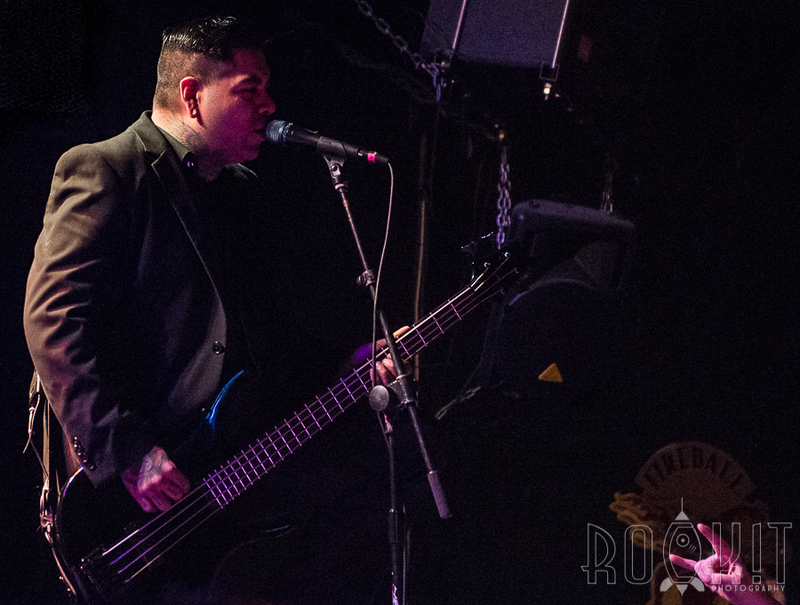 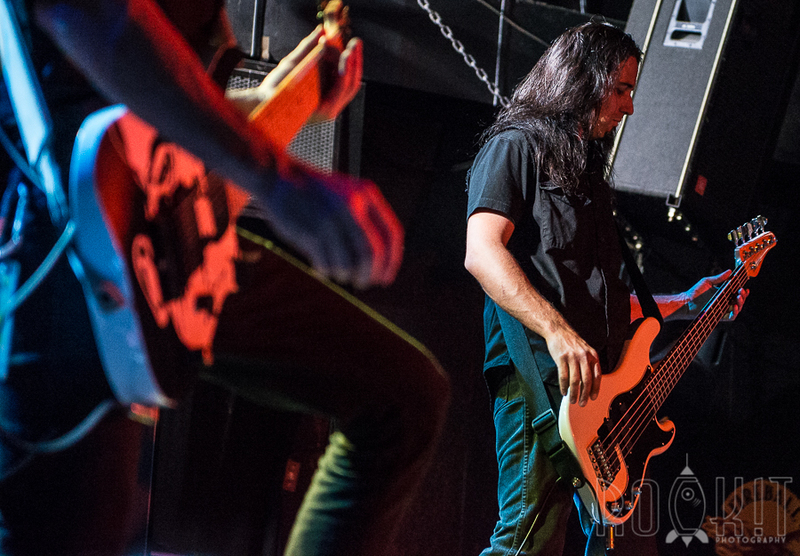 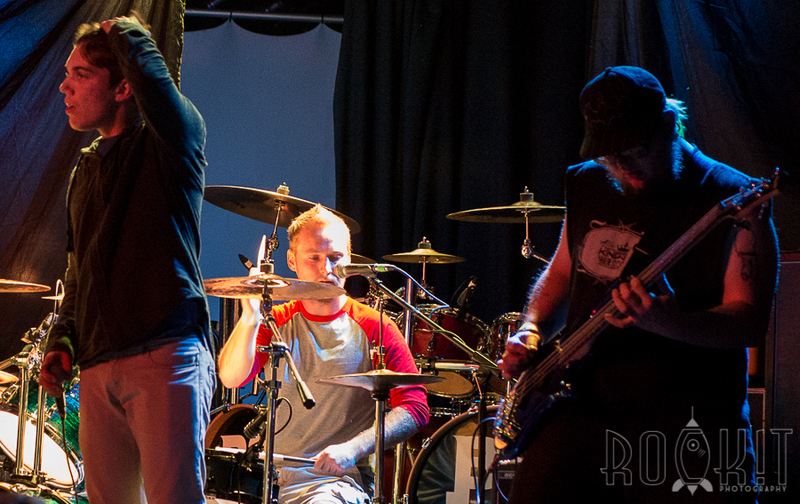 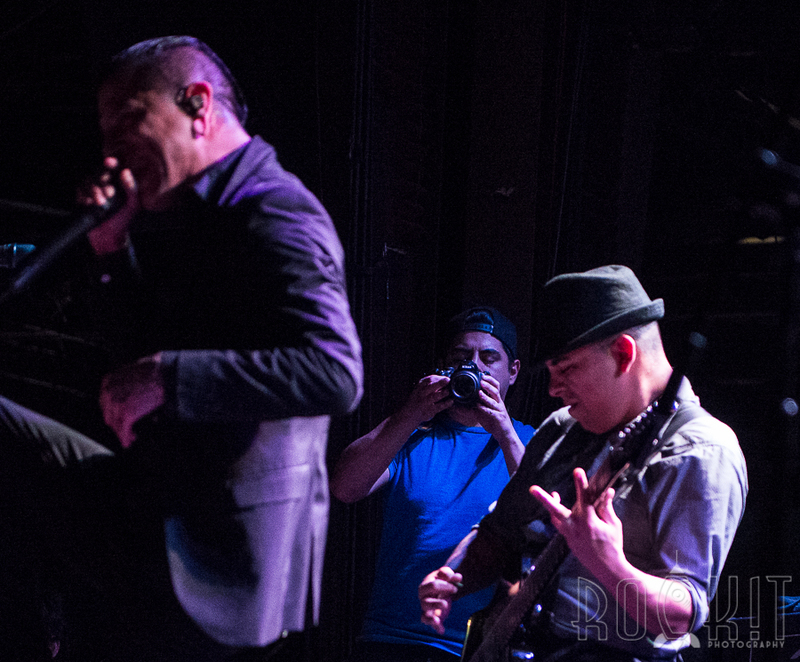 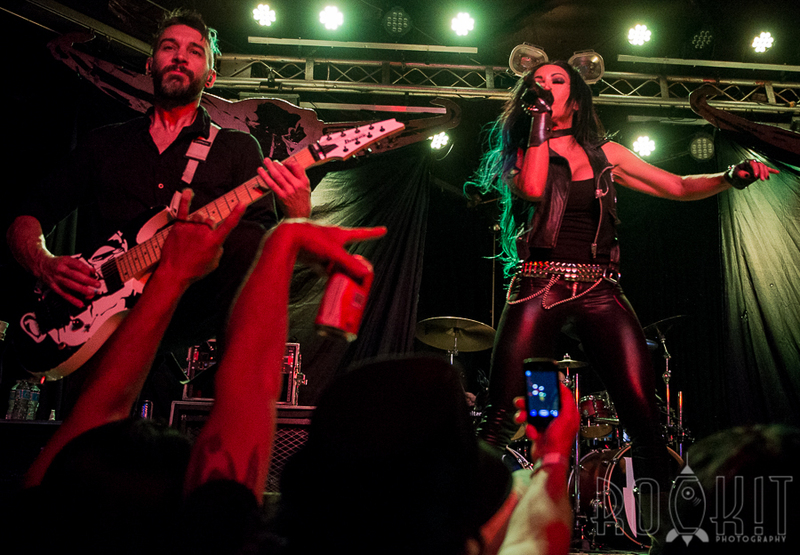 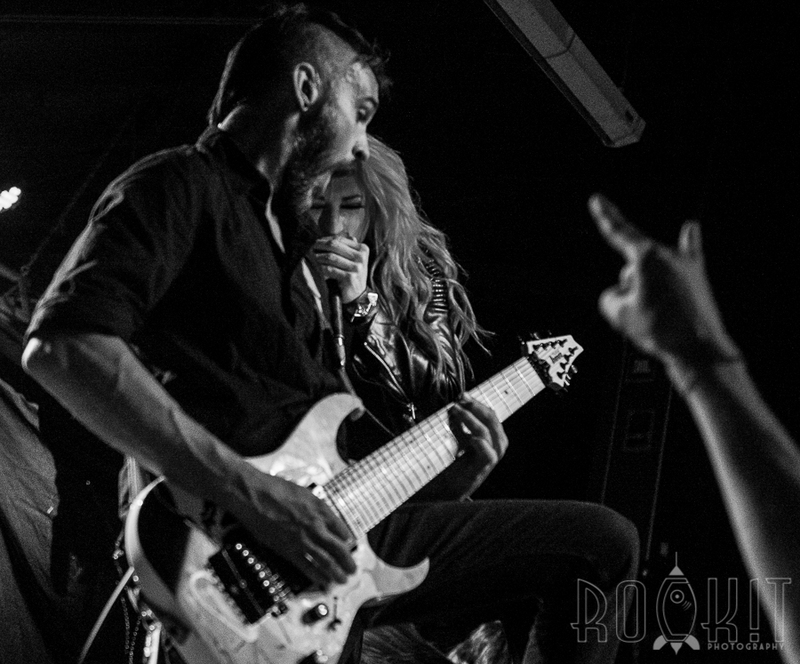 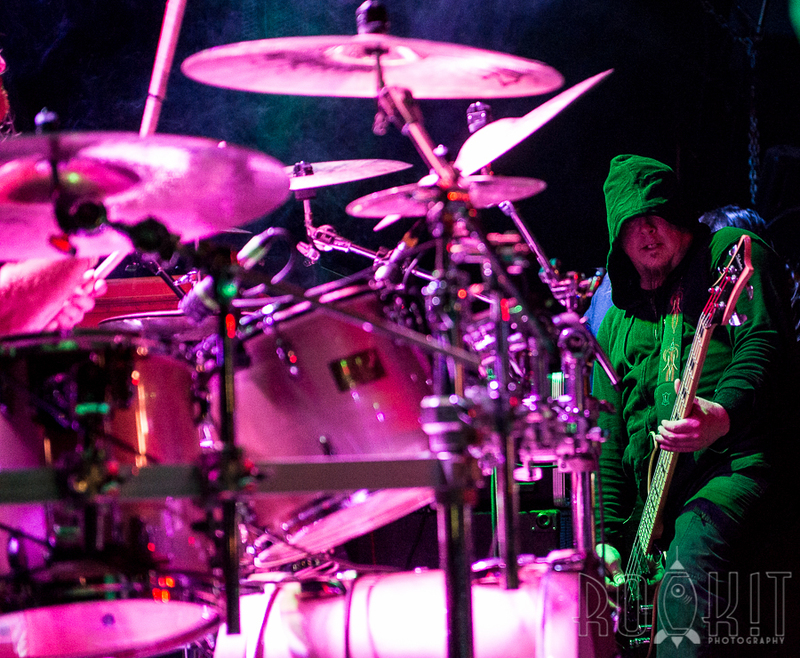 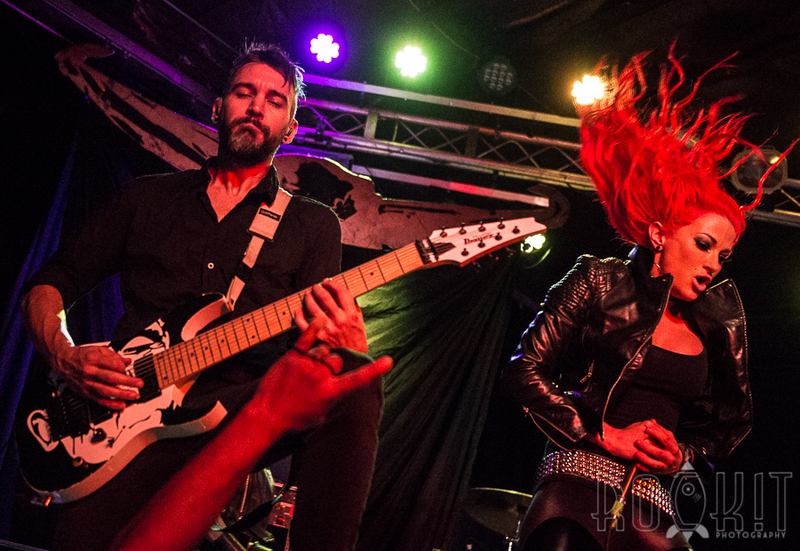 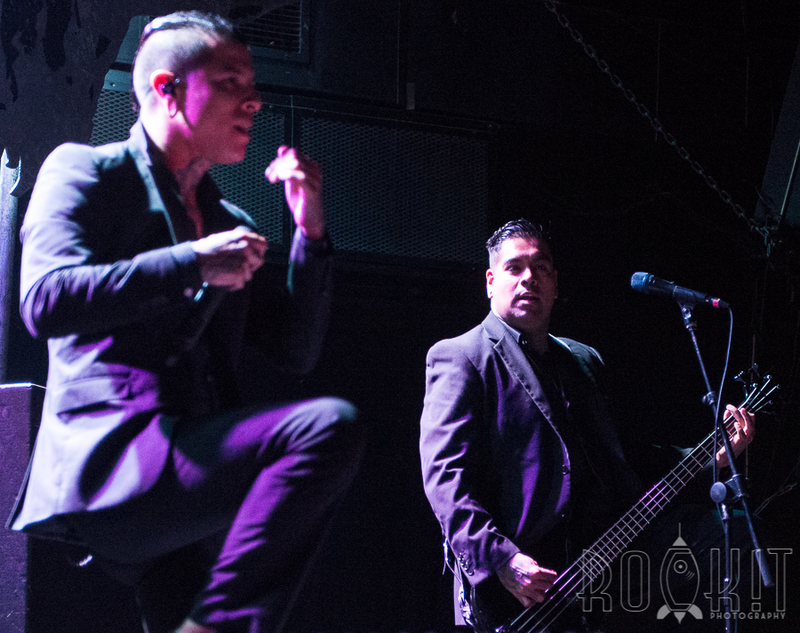 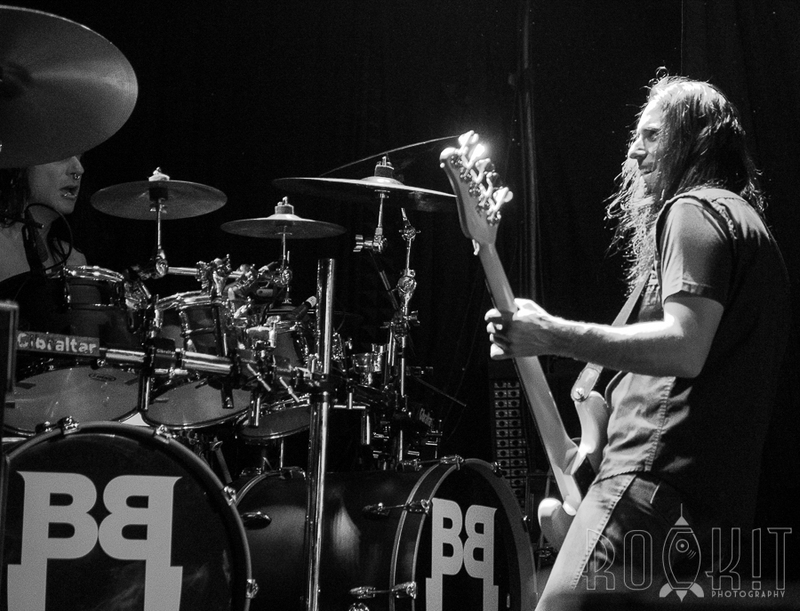 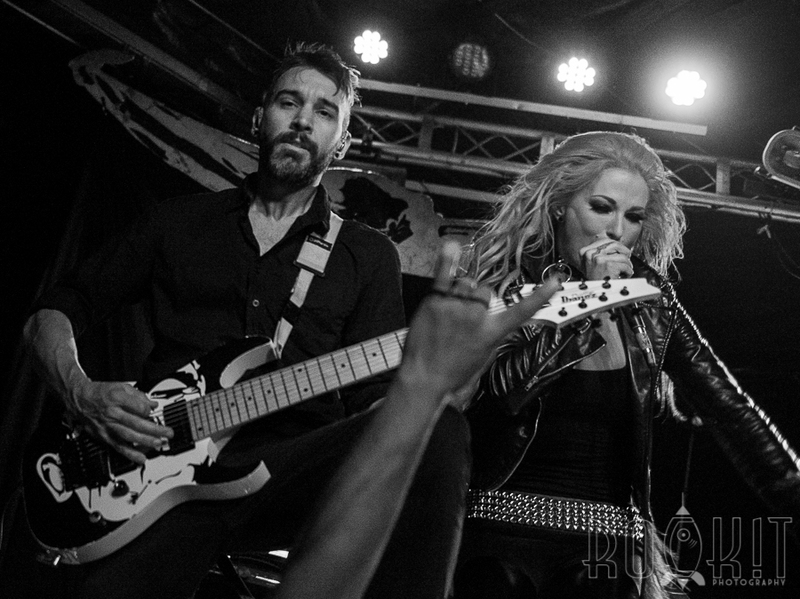 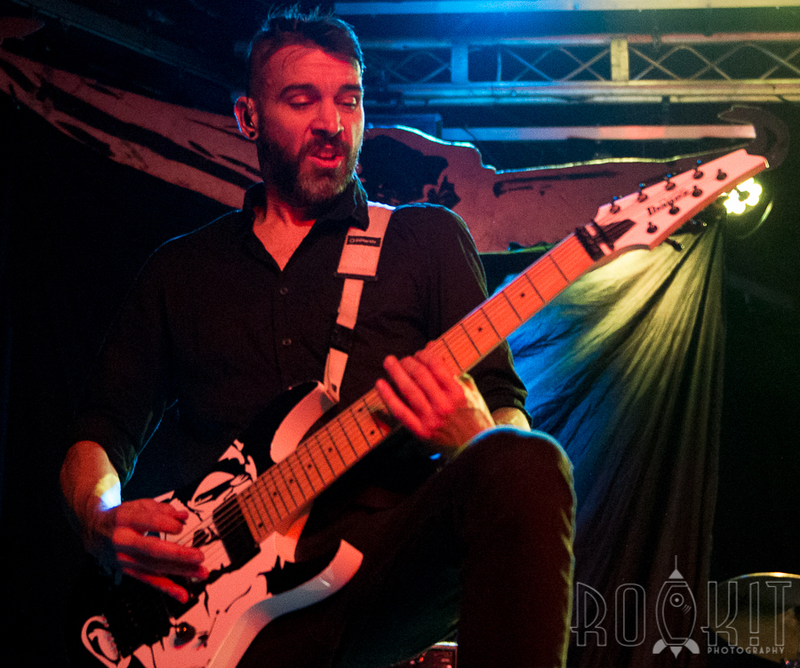 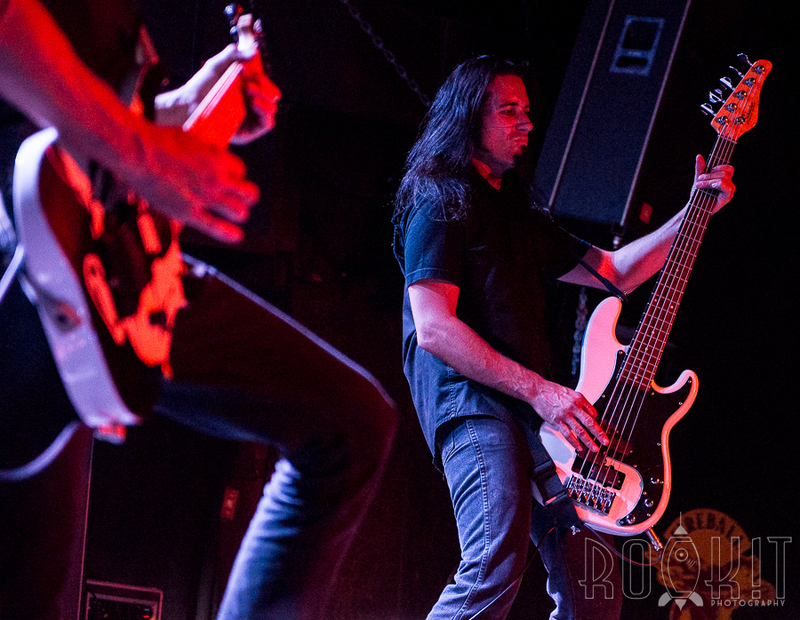 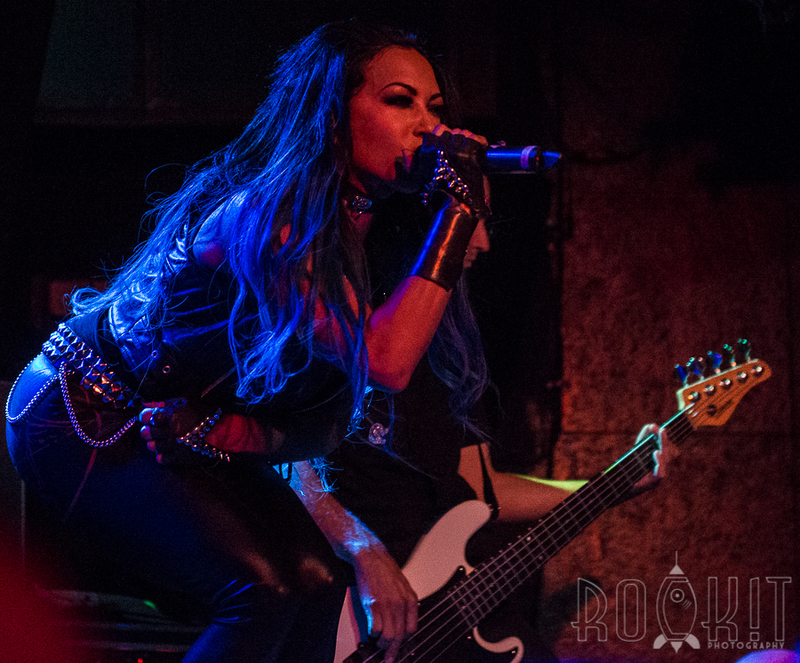 Upon a Burning Body and Butcher Babies performed in St. Louis with special guests At the Killing Hour and Hung Like a Martyr. 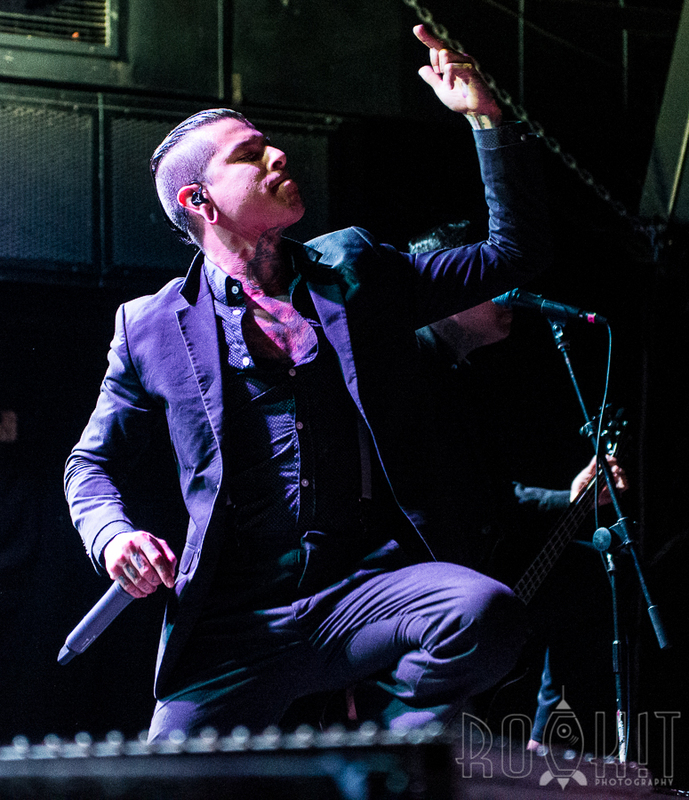 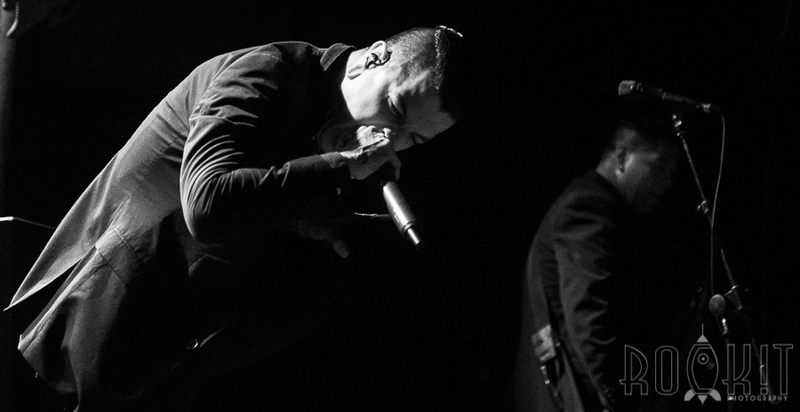 Upon a Burning Body made a tour stop at Pop’s Nightclub, just outside of St. Louis, on April 13. 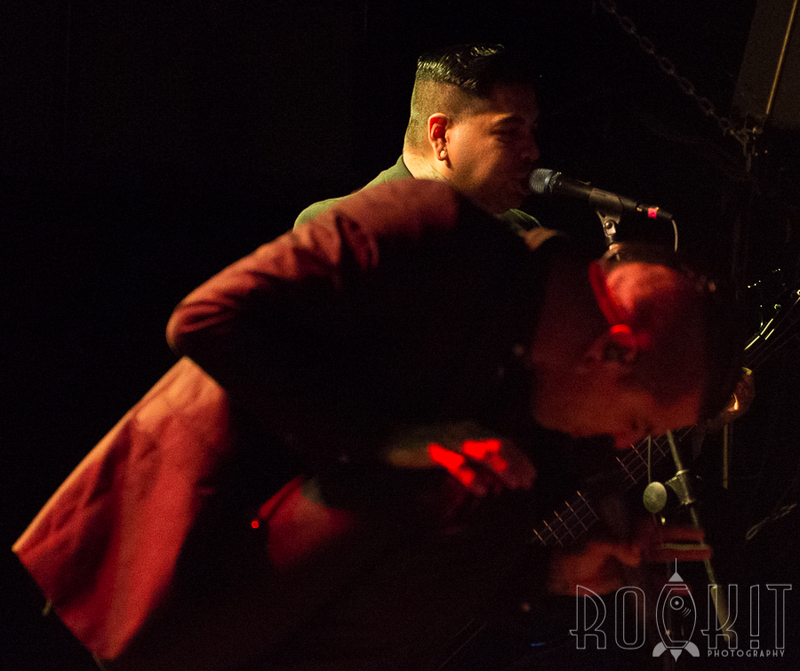 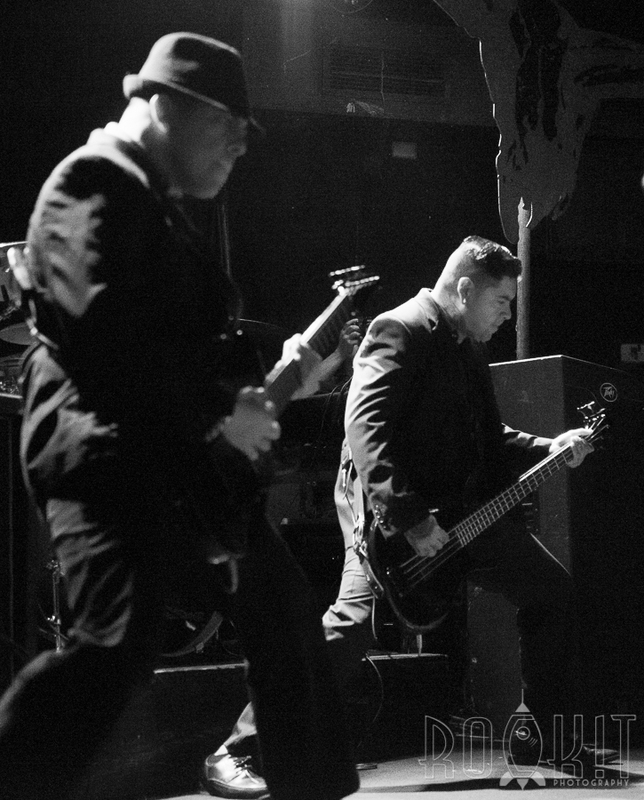 The dapper-dressed San Antonio-based, metal band was in town supporting their latest album,Â The World is My Enemy Now.Â They are making stops across the nation before heading to Europe in mid-June. 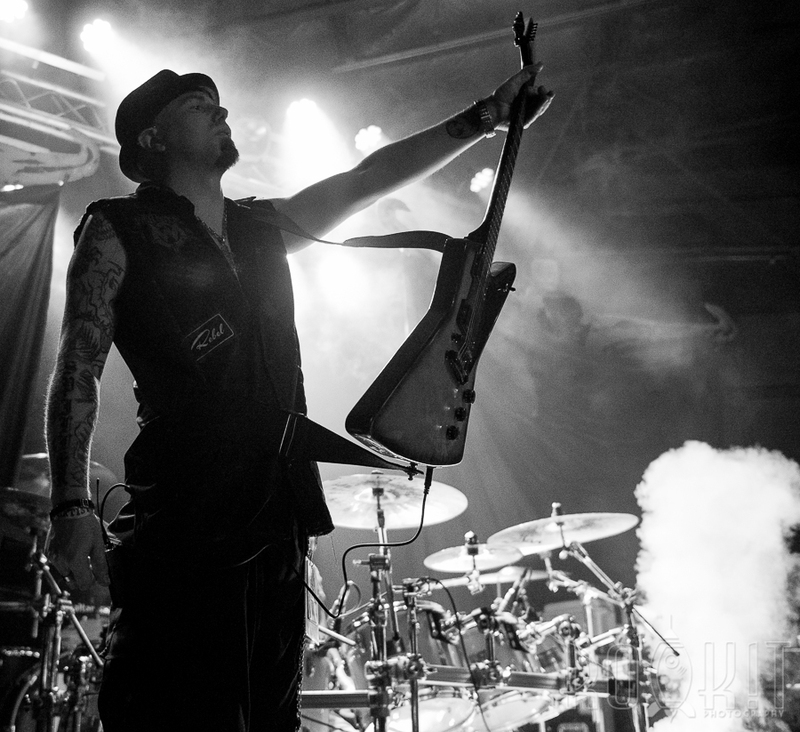 The band drew a large crowd, many of whom were throwing the Texas Longhorns as much as others were throwing metal horns, in honor of the band’s unabashed love for the San Antonio Spurs NBA team. 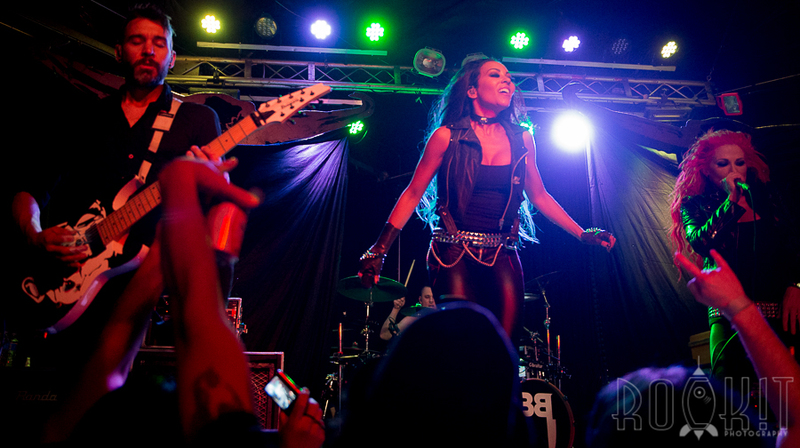 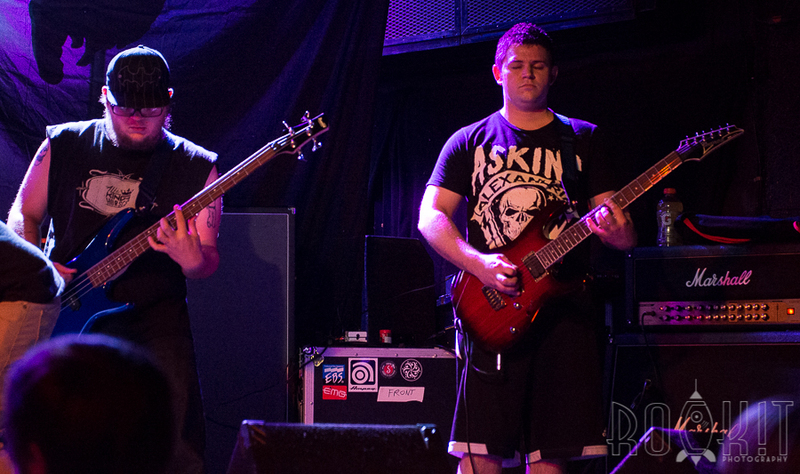 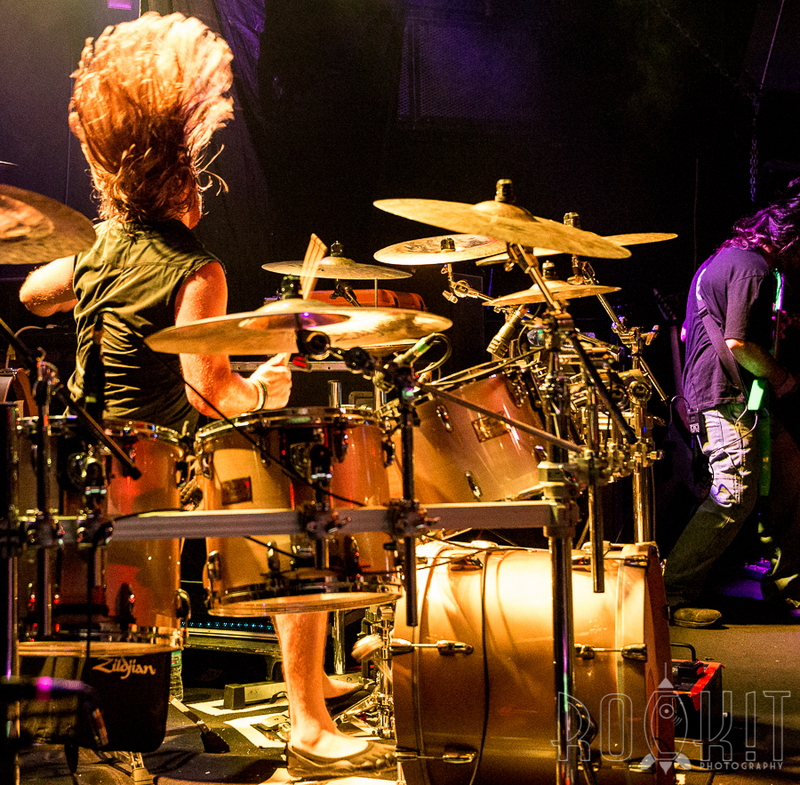 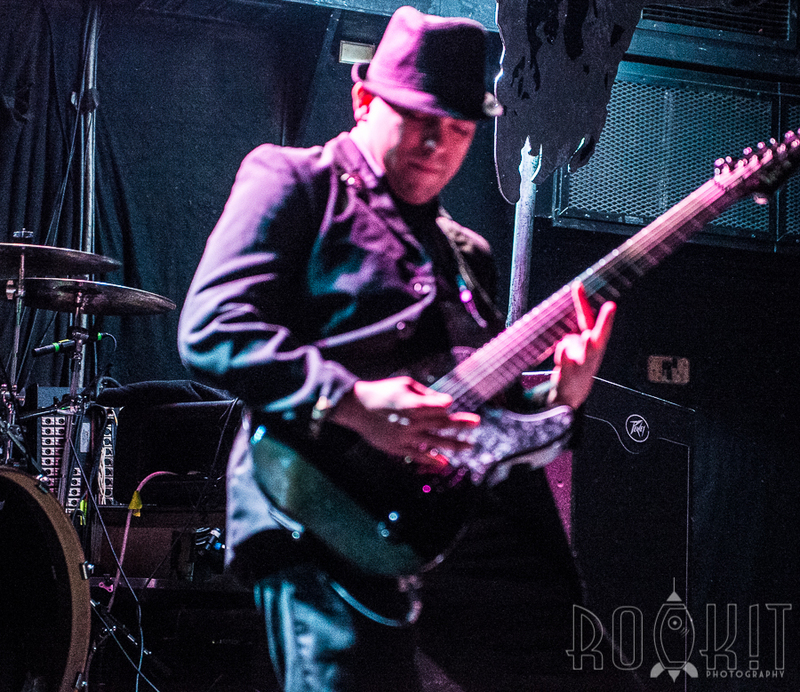 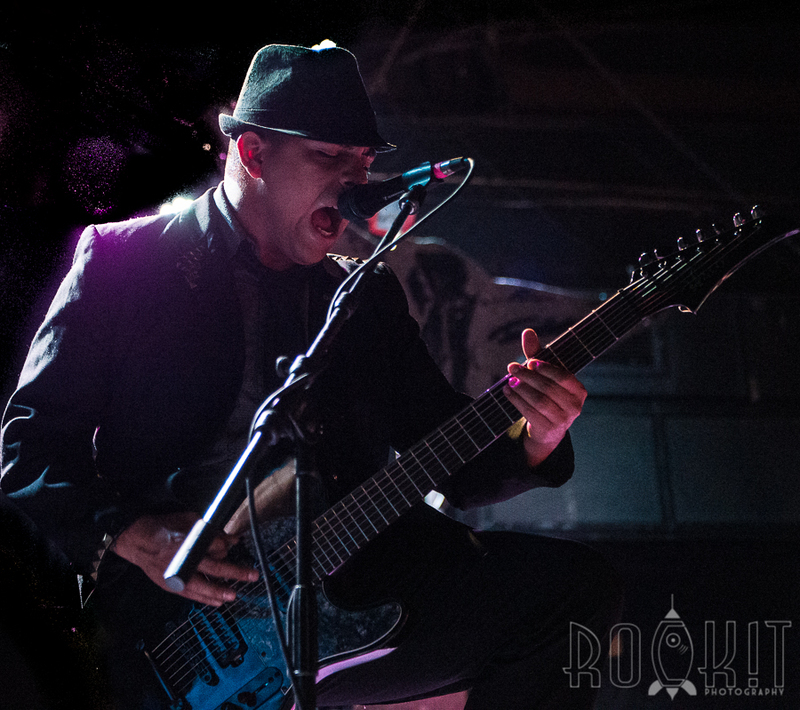 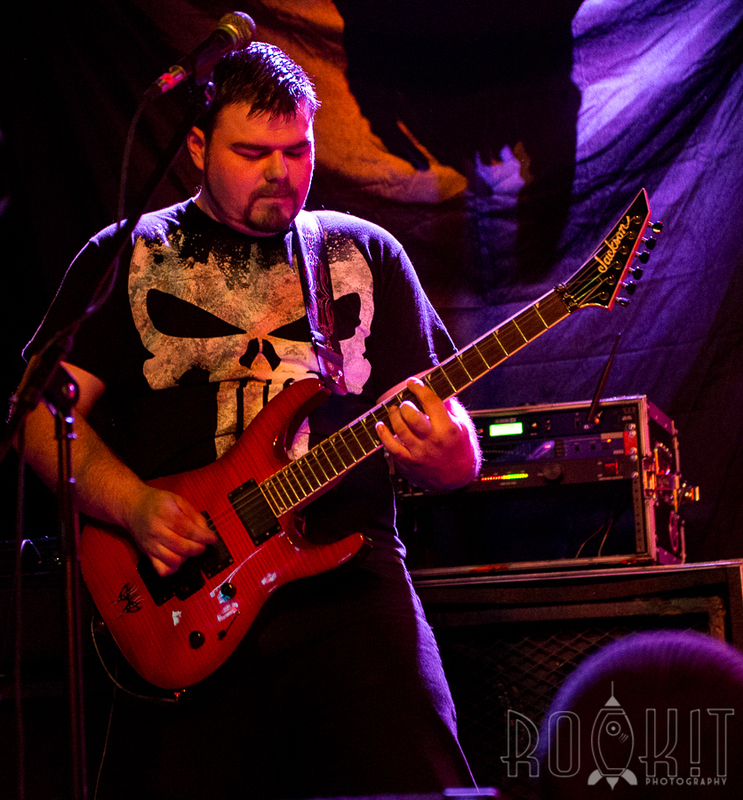 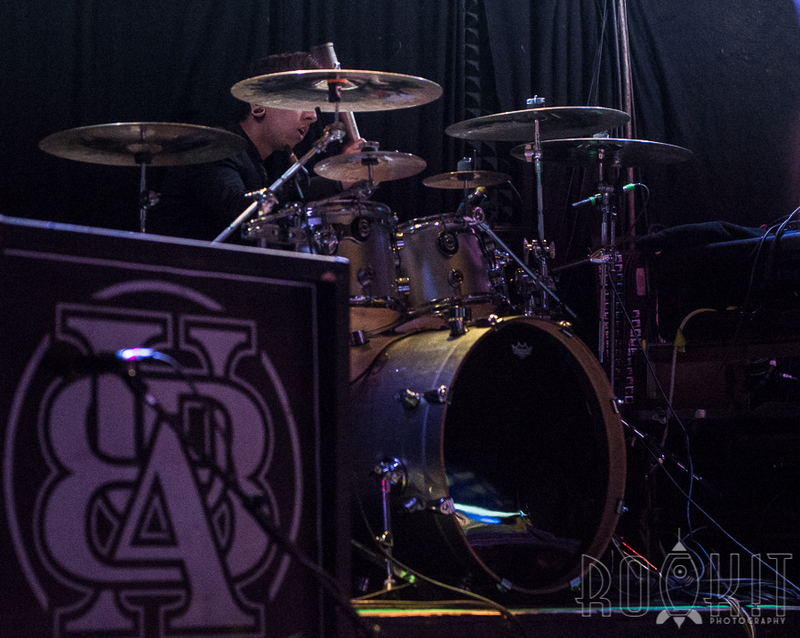 Playing just before Upon a Burning Body were theÂ Butcher Babies. 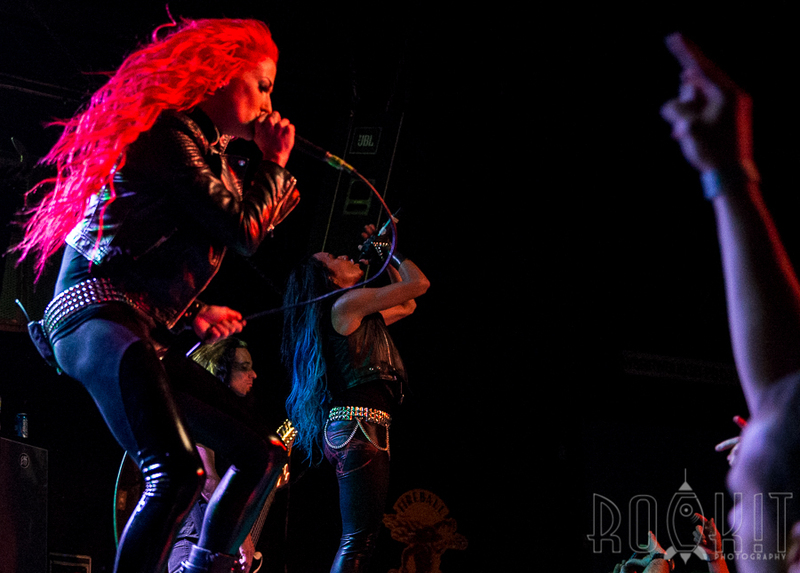 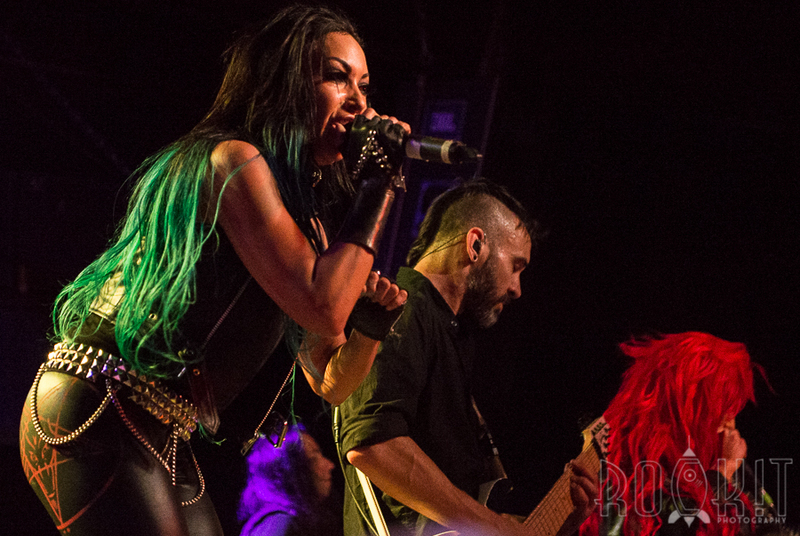 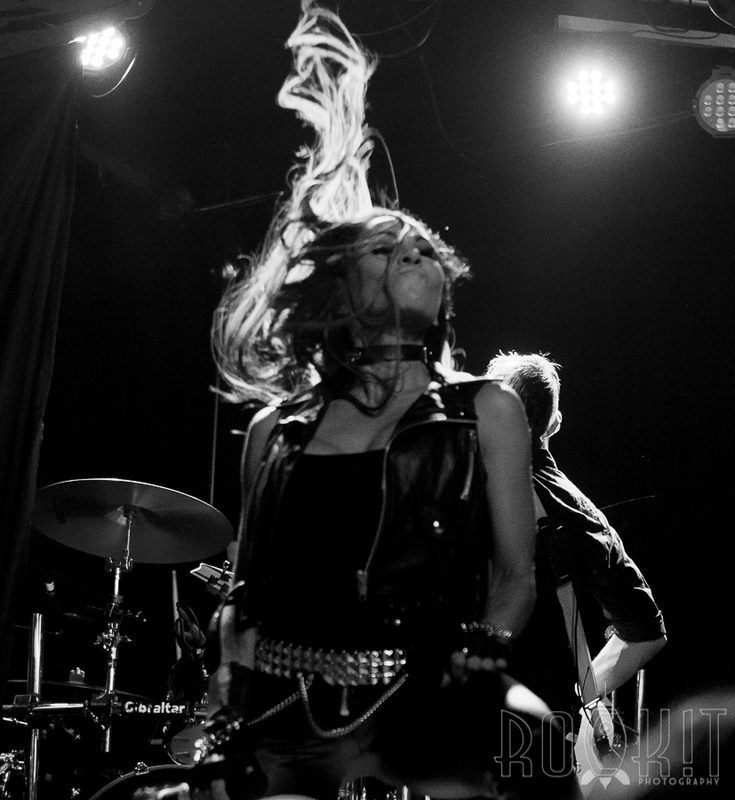 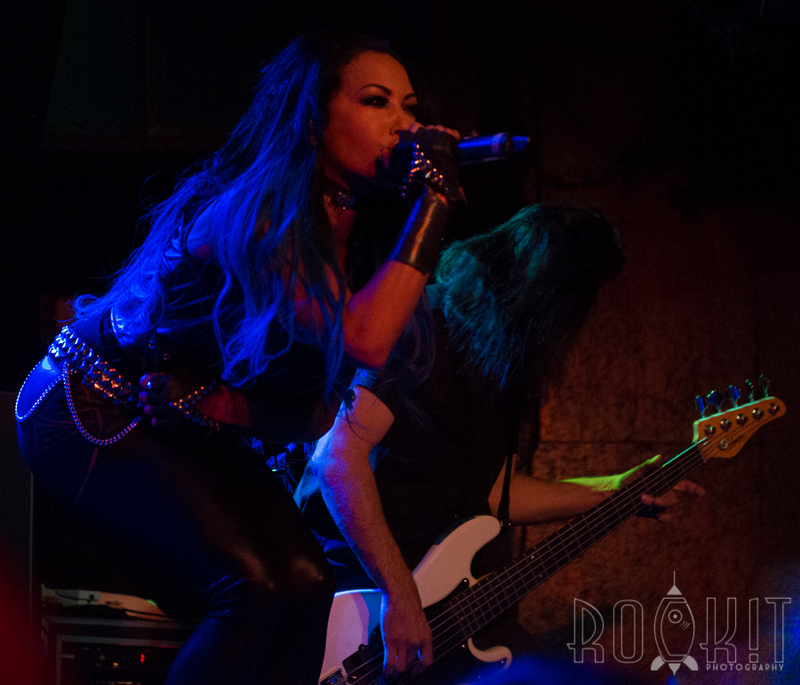 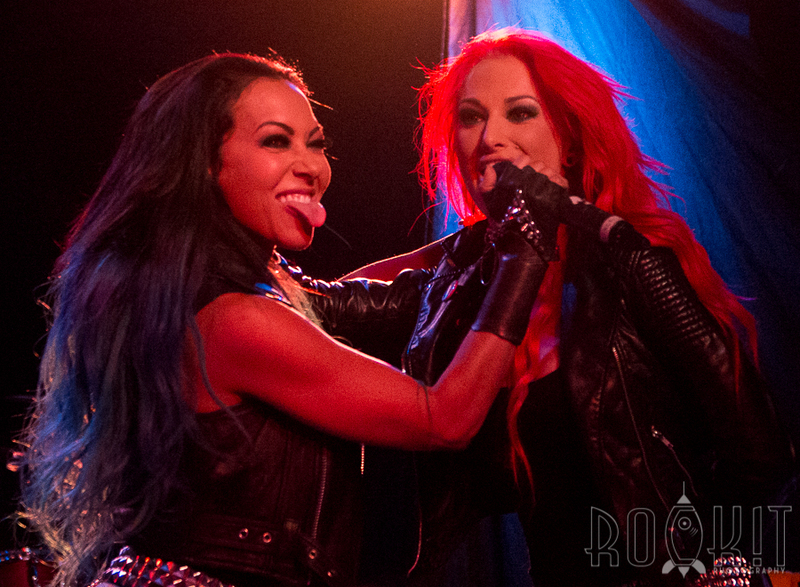 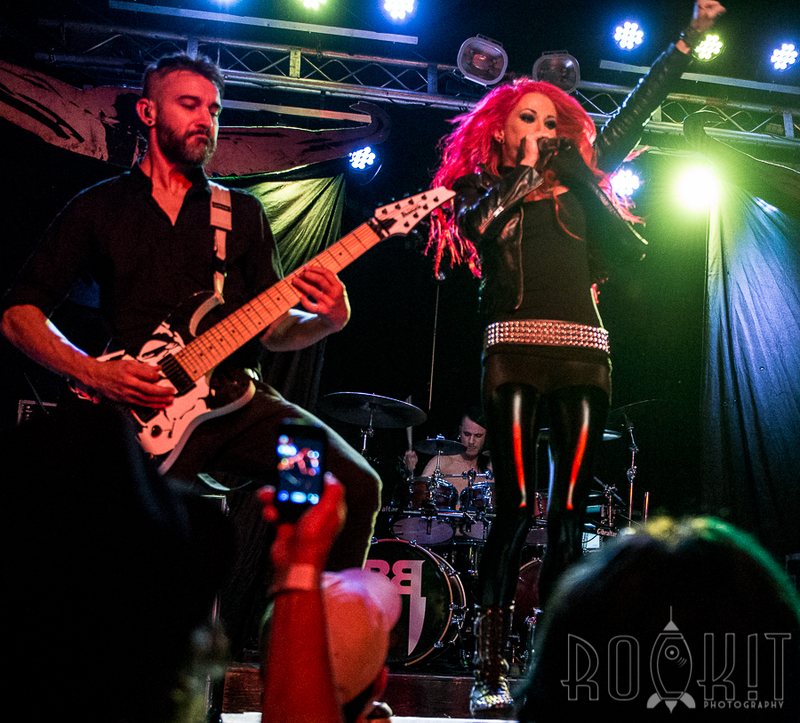 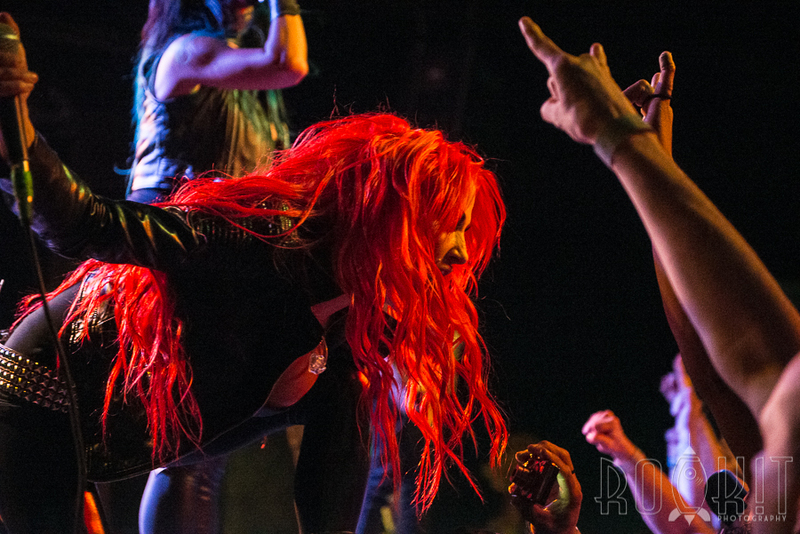 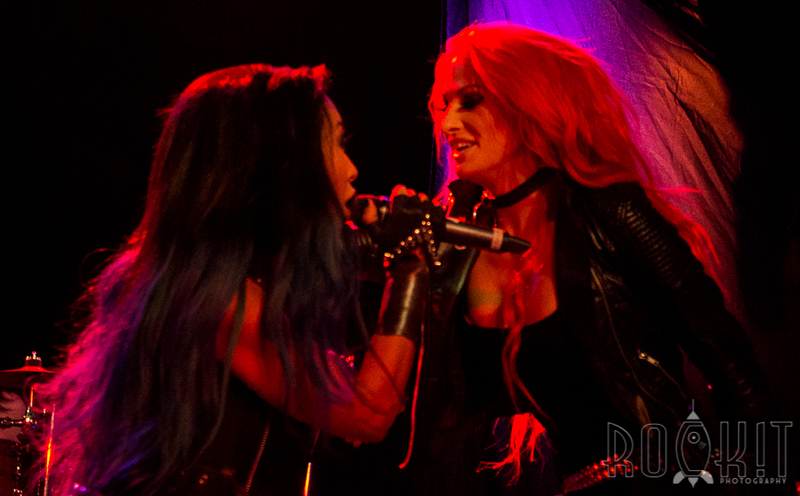 Fronted by Heidi Shepherd and Carla Harvey, whose strong vocals are more than a match for the band’s full sound, the Butcher Babies came out strong and never slowed down throughout their set. 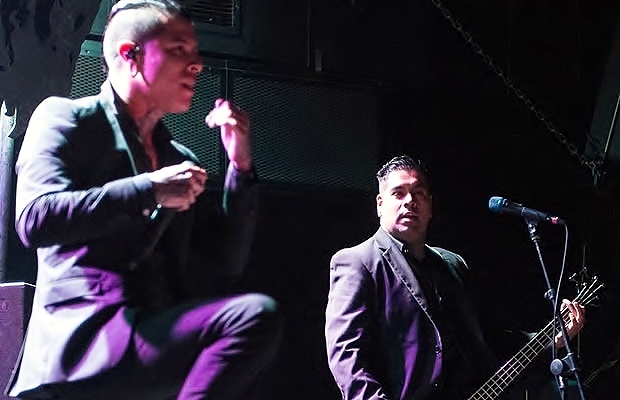 Shepherd and Harvey initially had to share a microphone due to technical difficulties, but that did not keep them from using every square foot of the stage during their performances, from the jumping onto the stage platforms to leaning over monitors to get up close and personal with the crowd. 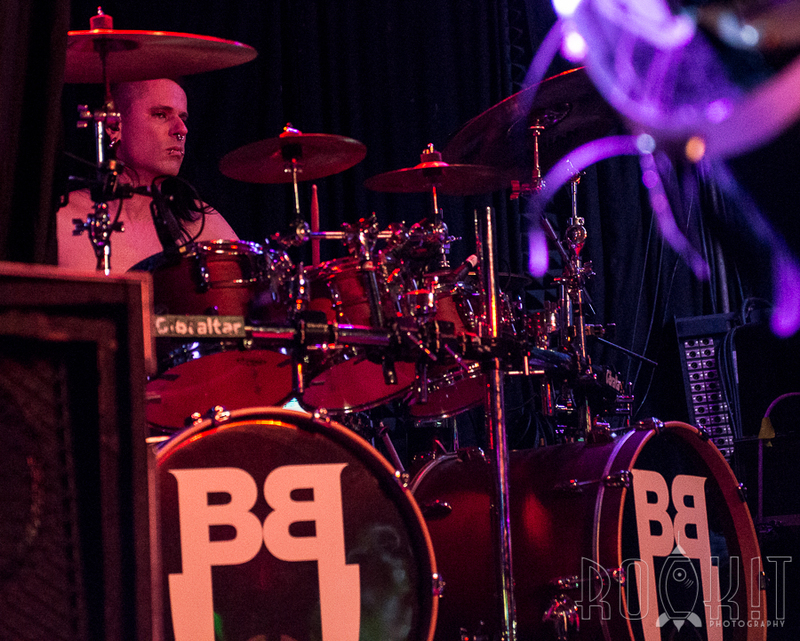 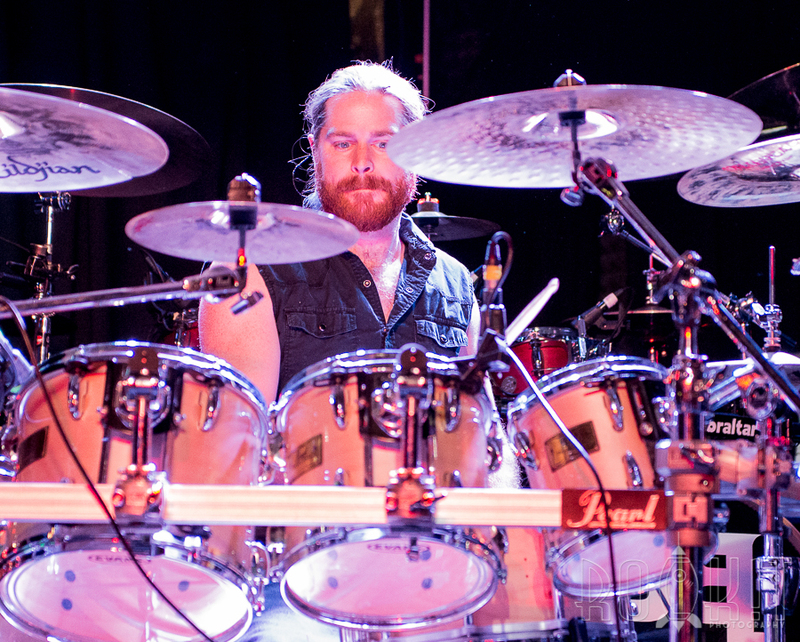 St. Louis localsÂ Hung Like a Martyr played second on the bill, debuting their new drummer, Mark Nichol. 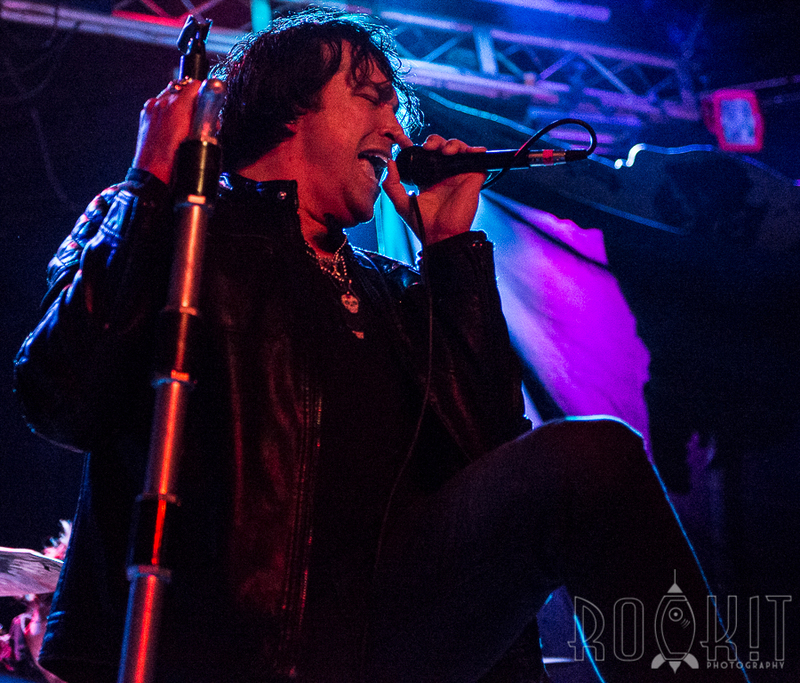 It was only late last year that the band introduced a new singer, Bruce Morrison. 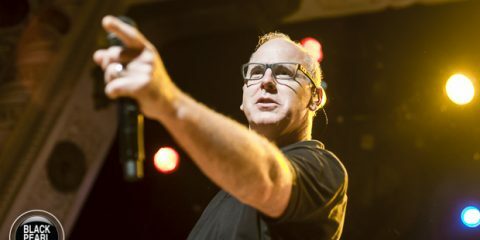 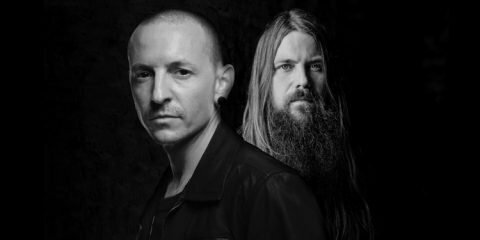 Morrison’s strong vocals have increasingly improved and not only breathed new life into some of their older material, but also forged a stronger foundation for new songs. 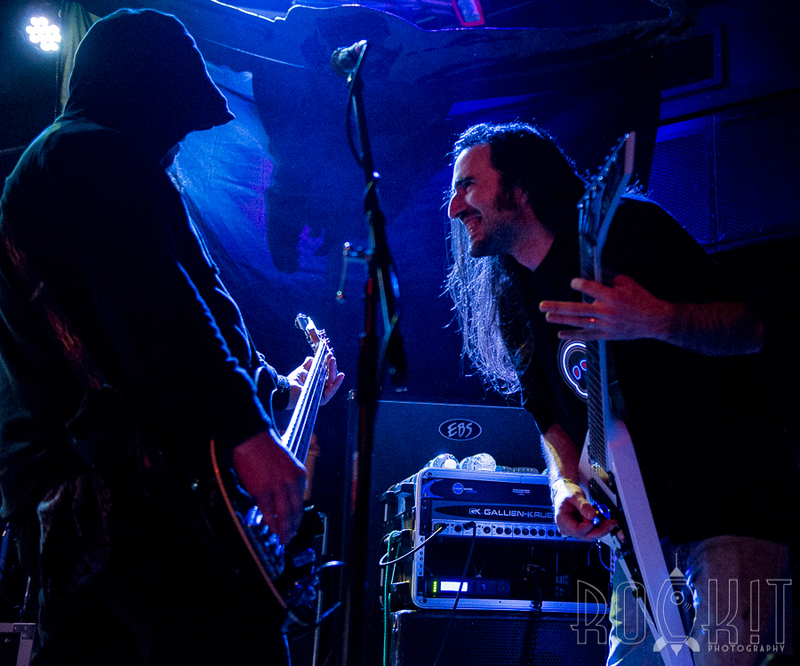 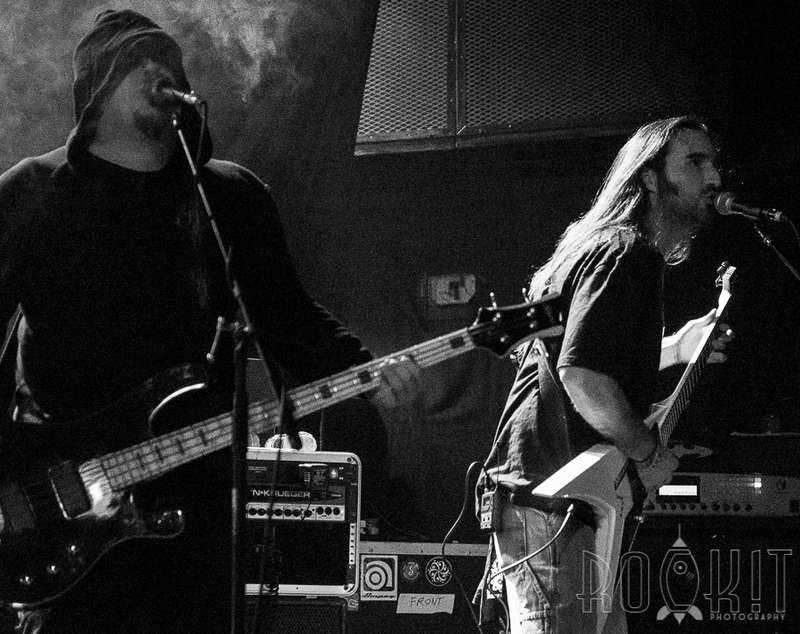 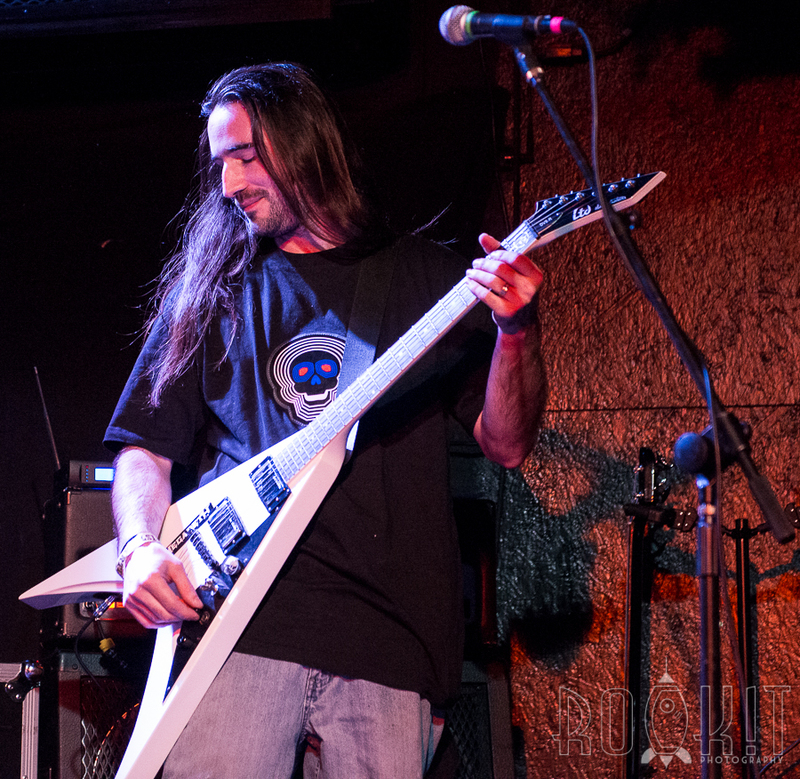 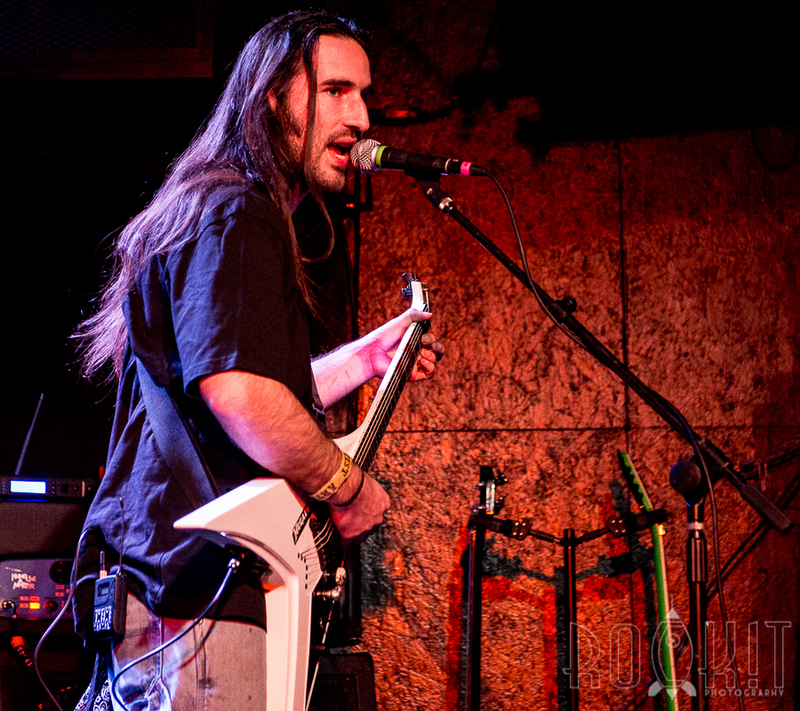 Hung Like a Martyr took metal back to its roots; their songs heavily influenced by horror movies. 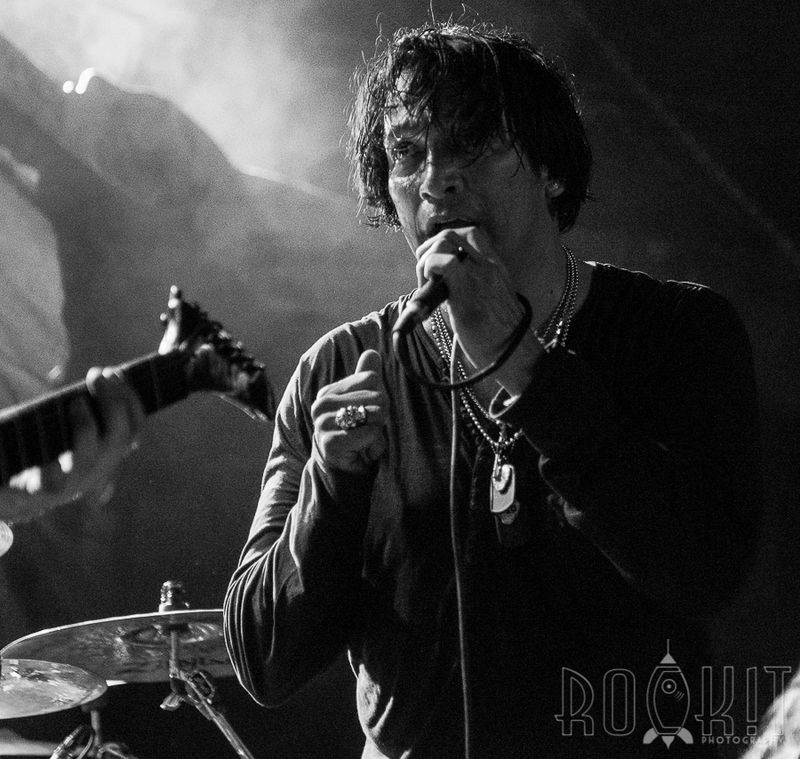 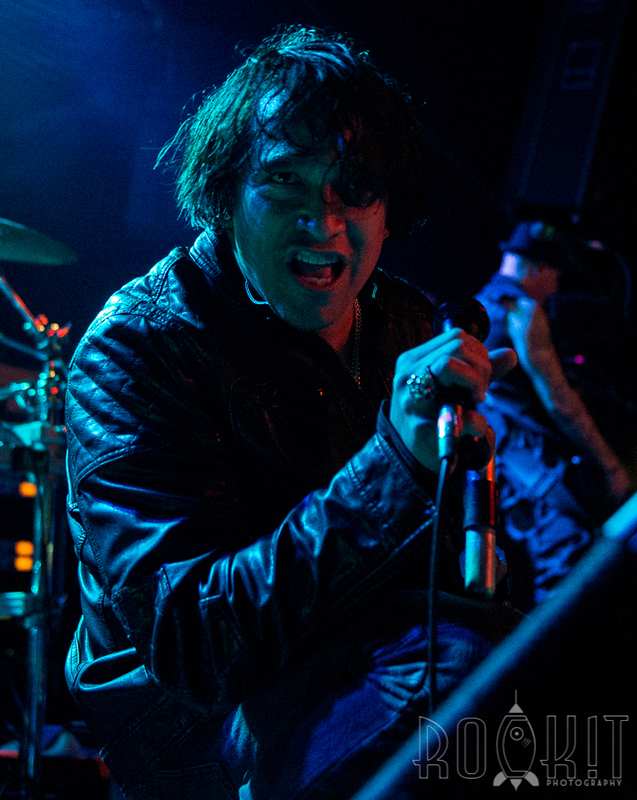 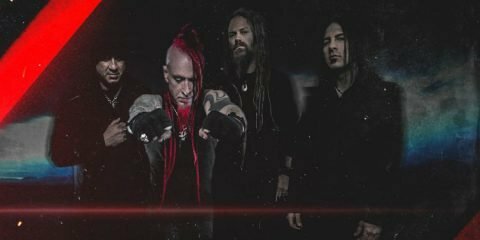 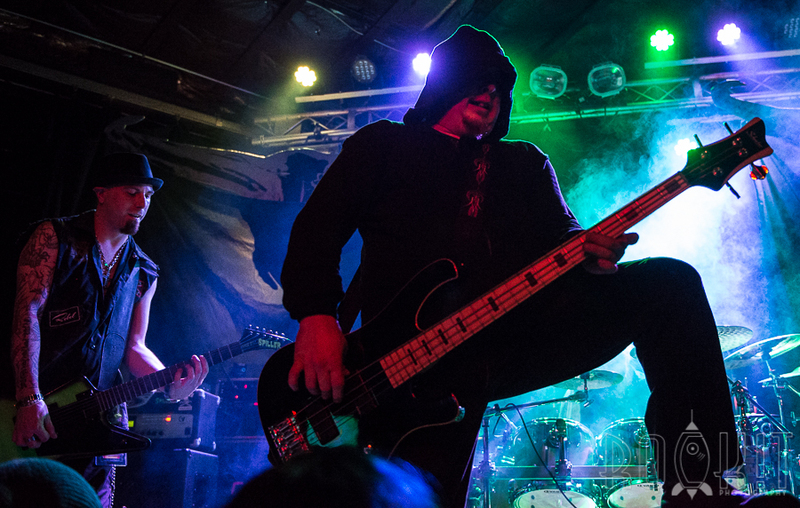 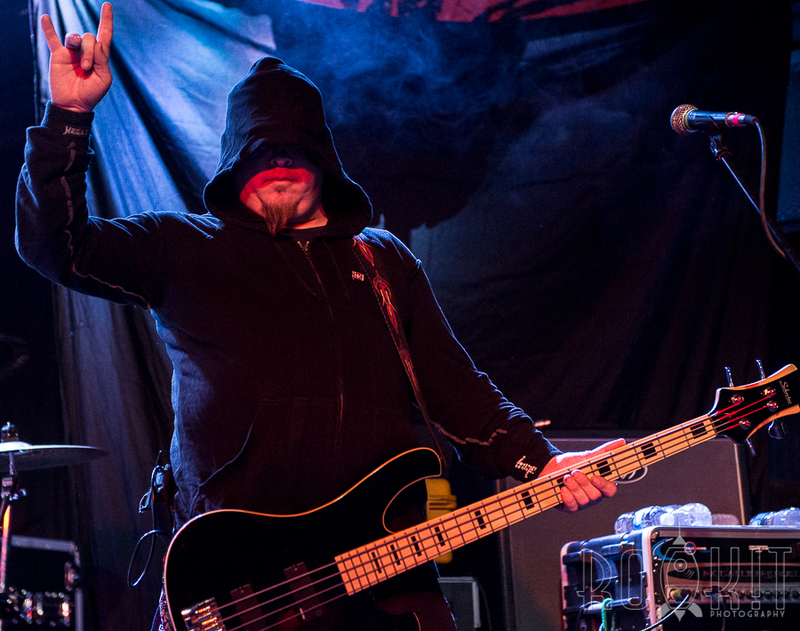 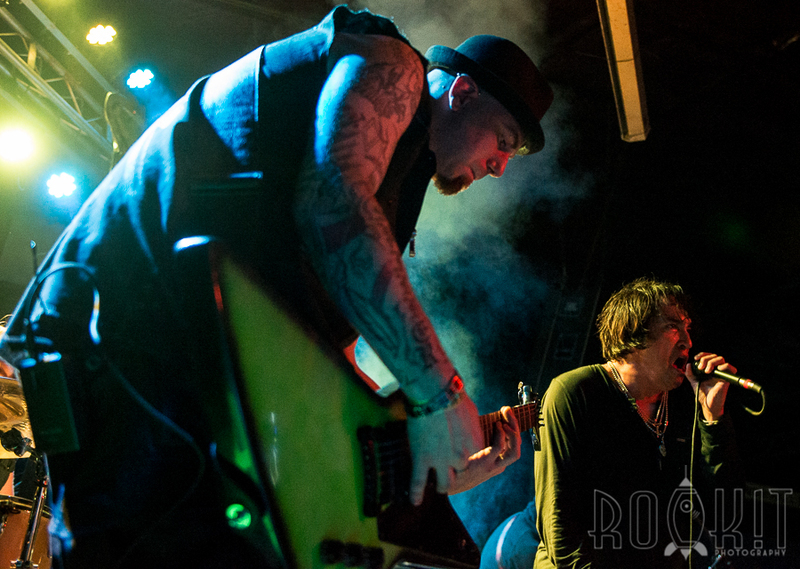 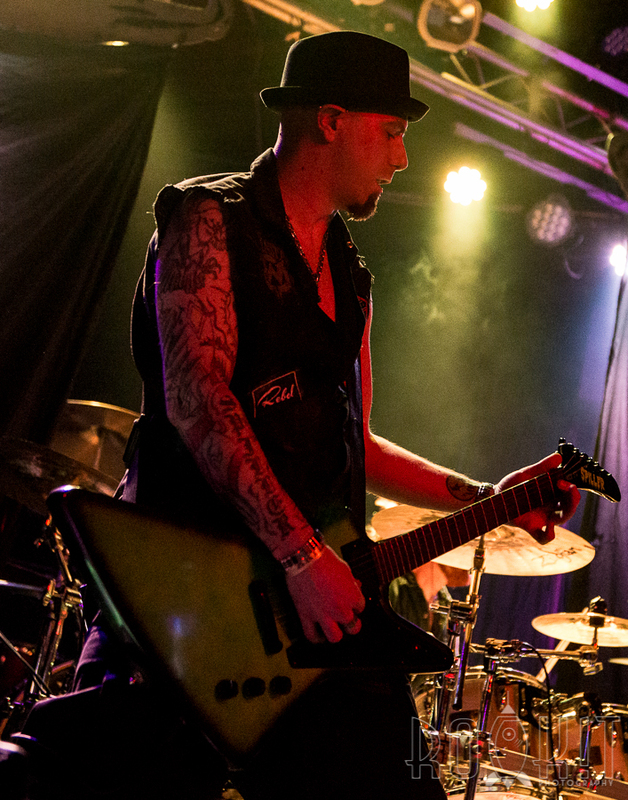 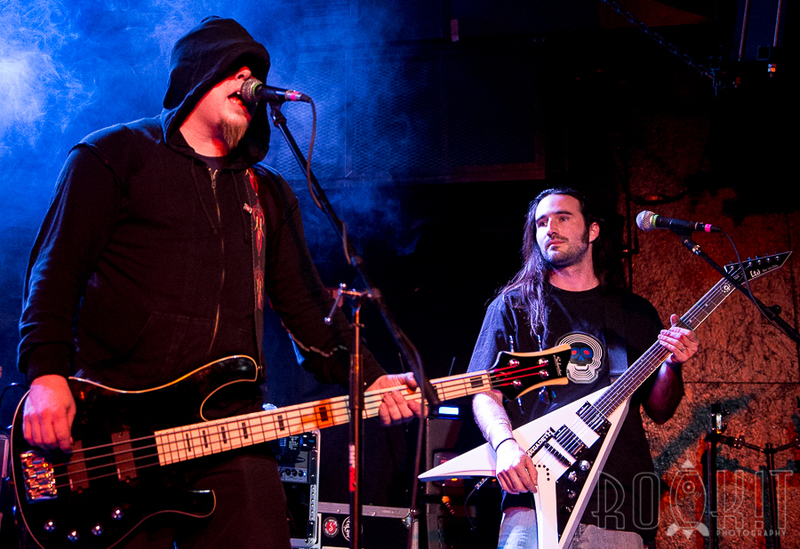 The band’s visibility in the St. Louis music scene has increased, getting some coveted opening spots for bands such as the Misfits, One Eyed Doll, Hellyeah,Â and others. 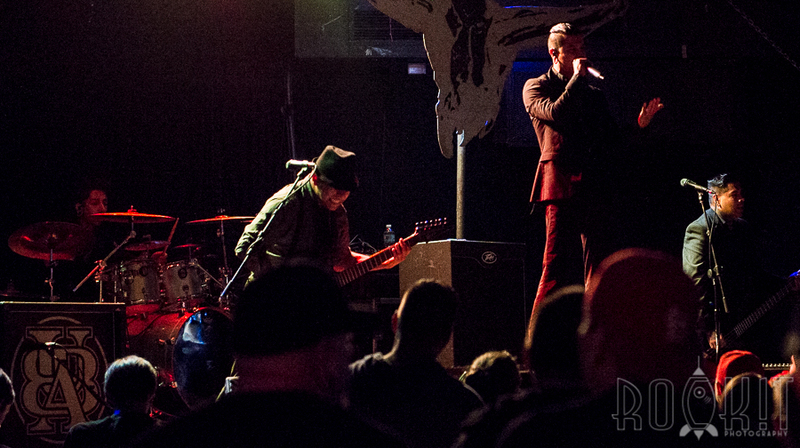 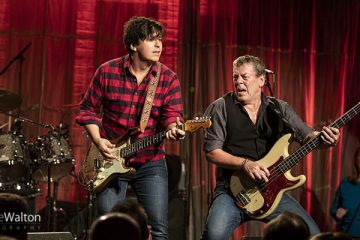 Other St. Louis locals, At the Killing Hour, opened the night, playing to a throng of people pressed against the stage. 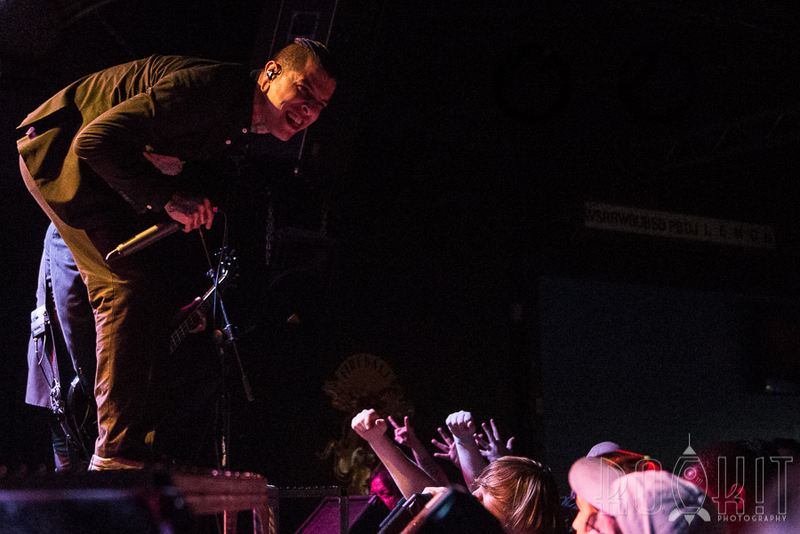 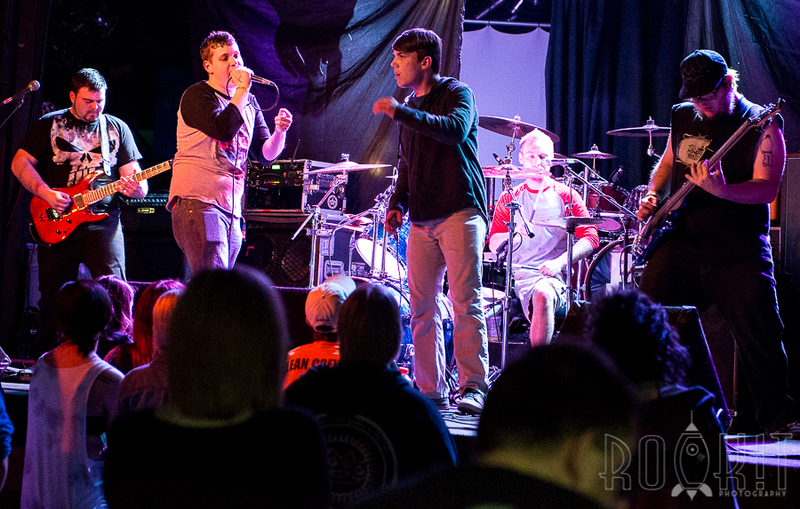 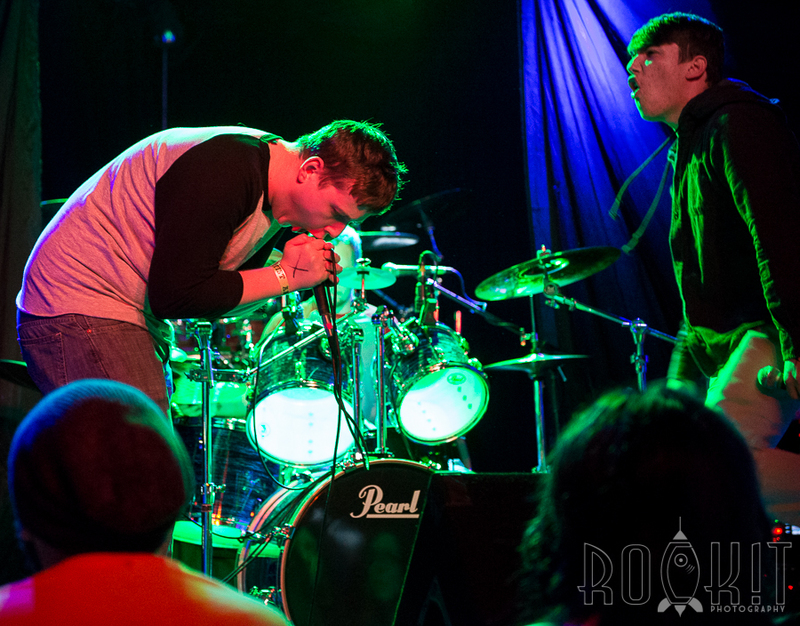 Although a young band formed in 2014, they seemed to have a decent core of fans who were unafraid to show their appreciation for the band, alternately yelling and starting small pits on the floor.